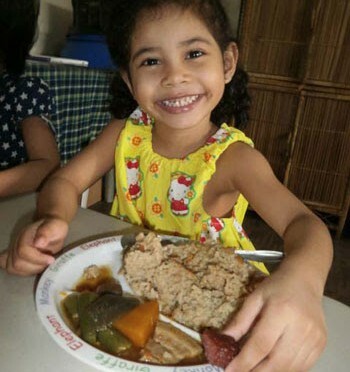 Blessa Chloe Zamora is a happy, healthy 5-year old who loves food and will eat anything, except maybe vegetables. Abandoned by her birth mother as a baby, Chloe blossomed after receiving nutritious Stop Hunger Now meals at a children’s home. A sweet and loving child who enjoys giving kisses and hugs to the staff, Chloe has grown to a healthy weight of 28 pounds and 39 inches tall. Chloe is but one example of the tens of thousands of children around the world who are being helped by Stop Hunger Now. By packaging meals with us, you have helped put them and their families on a path toward a better life. Because you shared your time with us, these children have hope—hope for a wonderful childhood, hope for an education, hope for a better life. We are delighted to announce that the meals from your meal packaging event on 11/7/2015 have been shipped in a container totaling 285,120 meals from our Southern California warehouse. If this is the second email you have received, this simply means that your meals have gone to impact multiple partners. The meals will be received by our in-country partner Salesian Missions in Cambodia. Visit www.stophungernow.org for more information about how you can support Stop Hunger Now and continue your involvement in the fight against hunger. Follow us on Facebook at www.facebook.com/stophungernow for updates, videos and photos from the field. Thank you for volunteering with Stop Hunger Now. We truly appreciate your dedication and commitment to the vision of a world without hunger. Not only did Kohls in Monrovia assist the club with discounts at the Santa Clothes event, the clubs investment also resulted in a substantial amount of Kohls cash. In an effort to wring every last ounce out of that Kohl’s cash, event chair Dr. Sylvia Domotor went looking for the best way to extend the good will to additional people in need. After meeting Jamie Duncan of the two-year-old Foothills Kitchen project based at the Methodist church, “Dr. D” decided to spend the $1148 credit on socks and underwear. 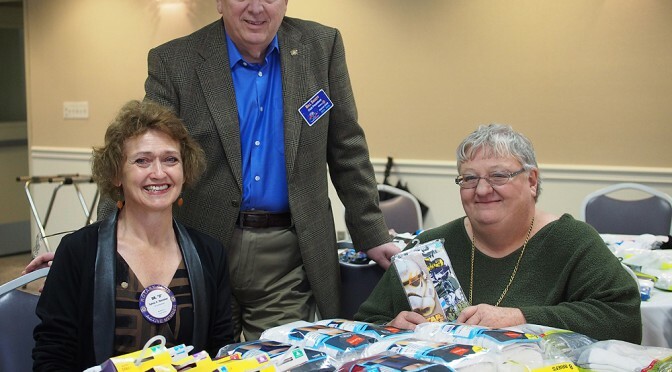 At a recent meeting of the club, Ms Duncan expressed thanks to the “Monrotarians”, as the members refer to themselves, and explained that the Foothills Kitchen’s mission has expanded from its initial objective of providing meals for those in need to making other essentials such as clothing and blankets available. The Foothill Kitchen is a non-denominational organization and has enthusiastic participants from members of other congregations and lay organizations thru ought Monrovia. Ms. Duncan says the group’s efforts compliment those of the Foothill Unity Center and invited everyone to visit the Foothills Kitchen Facebook page. For the fourth year in a row, the club’s Santa Clothes event was a huge success. According to Dr. Sylvia Domotor, founder and chairperson of the event, 65 kids, many of them victims of or witness to domestic violence or drug abuse, were the beneficiaries of a department store shopping spree, likely providing them with the only gifts they will receive this Christmas. Each was chaperoned through Kohl’s by one of 47 student volunteers from the Interact and Renaissance clubs at Monrovia High and by students from Kaizen martial arts. 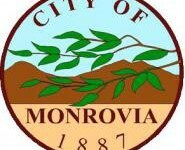 The event was paid for by year long donations from the members of the Monrovia Rotary Club. On hand to help were Jenny Pappano, Bon Helbing, Barbara Veenstra, Bill Shieff, Pat Holley, Karen Lujan, Tom Hould, Denny Black, Trevor Fessenden, Lynda Linforth, Steve Knight, Bryan Earll, and Julie Roybal. Photos from the event, courtesy of Bryan Earll, can be found HERE. With the assistance of 100+ volunteers, The Monrovia Rotary Club packaged 17,000 nutritionally sound meals to be distributed to areas of need. Stop Hunger Now is an international relief organization that relies on financial donations but also on volunteer manpower to package the meals. The Monrovia Rotary Club has participated for the last two years in this effort, packing 14,000 meals in 2014. 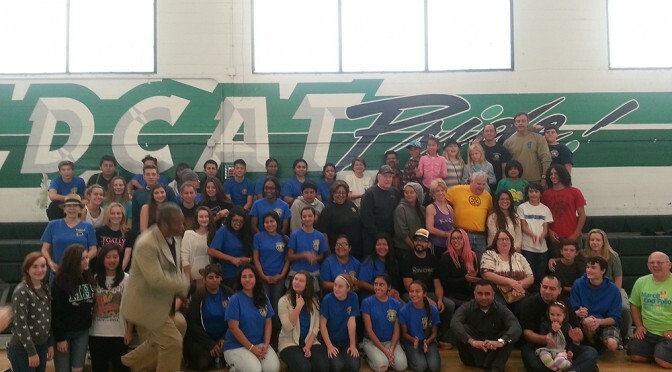 The cooperation of the Monrovia Interact Club and students of the Kaizen Martial Arts Academy, Wildcat Soccer Team, and Dr. Sylvia Domotor’s Animal House was essential to the success of the effort. Photos of the event, courtesy of Bryan Earll, can be found HERE. The third annual Rotary Club of Monrovia Santa Clothes Event took place on December 14, 2014 at the Kohl’s in Monrovia. 50+ children ages 4 to 12 went shopping for school-appropriate clothing, shoes and backpacks. This year, due to urgent pleas from Rotary Club members, each child was also allowed one small toy item. The children are from client families being served by The Santa Anita Family Services. The children will be paired with Interact students from Monrovia High School for their shopping adventures. (Interact is a teen service club sponsored by Rotary Clubs) Adult Rotarians, members of Kaizen Martial Arts studio and employees of the Monrovia branch of Wells Fargo will also be on hand … but will probably lack the cool factor of the high school students! Each child spent (with guidance) $125. With the cooperation of Kohl’s, that translated into some mighty full and heavy bags of goodies. The event generally results in about $1000 in Kohl’s Cash Back which is donated to the Foothill Unity Center for their holiday food/gift donation event. More photos appear on the Monrovia Rotary Club Facebook Page. 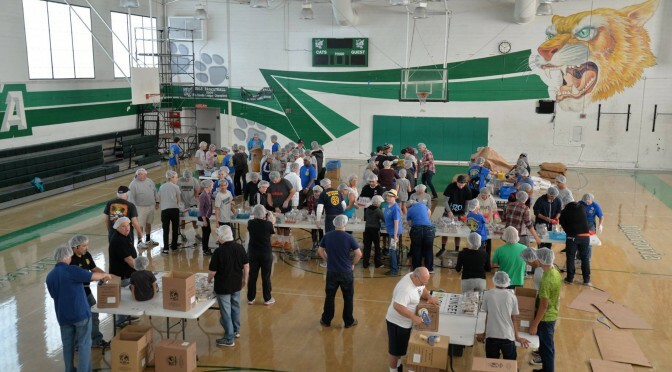 Rotarians and Interact students from Monrovia High School met last Saturday morning to package food for the hungry in conjunction with Stop Hunger Now. Over the 2 hours, they managed to work together to package over 14,000 meals! Everyone attending the event came away stating how fun and rewarding the experience was. 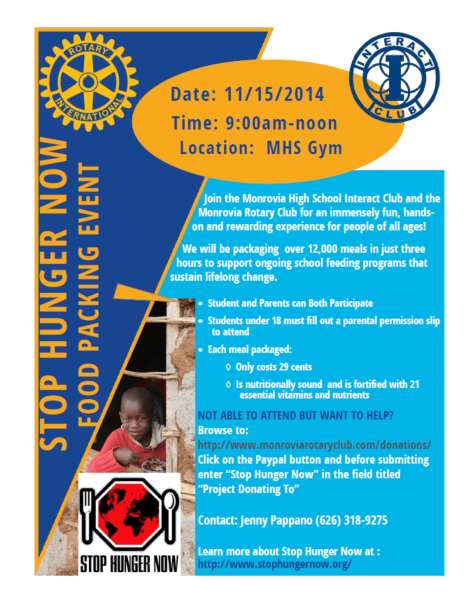 The Monrovia Rotary Club and MHS Interact Club will be holding a Stop Hunger Now food packing event at Monrovia High School on November 11, 2014 to assemble over 12,000 meals to help support ongoing school feeding programs that sustain lifelong change. The event will be held from 9am to noon in the MHS Gym and should prove to be immensely fun, hands-on, and rewarding for people of all ages. Please click on the Paypal button and before submitting, enter “Stop Hunger Now” in the field titled “Project Donating To” to direct your donation to the Stop Hunger Now event. 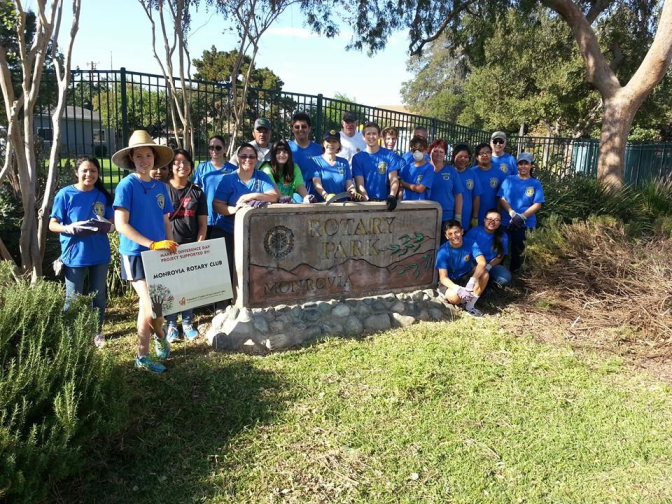 The Monrovia Rotary Club and the Monrovia High School Interact Club teamed up on Saturday, October 25, 2014 to clean up Rotary Park on E Lime Avenue and S California Ave in Monrovia for the annual Make a Difference Day. We cleared out overgrown plants and trimmed them down to 4ft high to allow for better visibility into the park from the street as well as cleared out leaves and trash from planters. The sand was sifted through on the playground and redistributed. The team worked for the entire morning both young and old to get the project completed and the results looks fantastic! We are pleased to be able to conduct a Holiday Food Drive for the Foothill Unity Center. Please bring the items (listed below) to our regular meeting on July 29th or the Unity Center will gladly accept a cash donation. Foothill Unity Center is a 501(c)3, and your donations are tax deductible. President Earll is making copies of the needed items and and passing them out to ten of his neighbors. If we all take the similar action, this Food Drive will be a big success! We have a great opportunity to help brighten Thanksgiving for many folks who are in need and get our new Rotary year off to a great start! Turkey Certificates, Canned Meats/Tuna, Canned Vegetables, Canned Fruit, Stuffing Mix, Hearty Soups, Mixed Veggies, Packaged Beans/Rice/Pasta, Corn Bread/Biscuit Mix, Cereals (Hot or Cold), James & Jellies, Cake/Brownie/Cookie Mixes, Salad Dressing, Frosting, Canned Yams, Jell-o, Peanut Butter, Spaghetti Sauce, Mac and Cheese, Rice A’Roni. The Rotary Club of Monrovia will once again be helping out local children in need for the holiday season. On December 7th, 50 disadvantaged children identified by Santa Anita Family Services will get a special treat this holiday season. 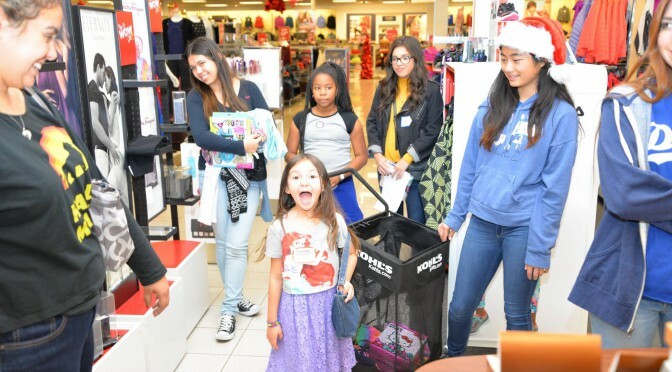 Through the assistance of the Rotary Club of Monrovia, Kohl’s and Wells Fargo, the 50 students will get the opportunity to shop for new clothing and shoes. Each child will be paired with a Monrovia High School Interact Club member, adult Rotarian, or adult Wells Fargo staff member to assist with their shopping and will be able to purchase $125 worth of school appropriate clothing. Tax deductible donations (501(c)3 EID: 51-0656409) are being accepted online for the Santa Clothes project to help fund more children at http://monroviarotaryclub.com/donations/. Please help if you are able to. Just click on the button with the Santa hat to help contribute to this great project. The more money we can raise, the more kids we can assist this holiday season.